Mikea (mi-key-a) became an official member of the M family today. Our friends Billy and Anna have been foster parents for this little sweetie since she was two days old. Today, after lots of meetings, countless forms, red tape, and some delays they finally have this little one adopted into their family. We are so excited for them!!! 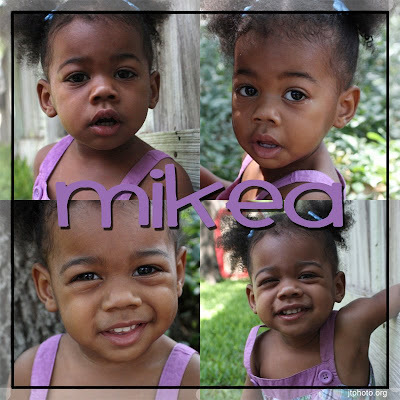 Mikea's big brothers were adopted earlier this year and now the family of five is complete! I photographed this family last year but at the time did not show any photos with their faces since they were all foster children at the time. Anna is so excited about sharing this sweet little girl's face on her blog and I thought I'd do the same. Because she really is SUPER cute! I took these photographs during our MOPS@ photoshoot playdate! I'll share some more of her brothers in another post later. Congratulations Billy and Anna (Joe and Daniel too), we are SO excited for you all!